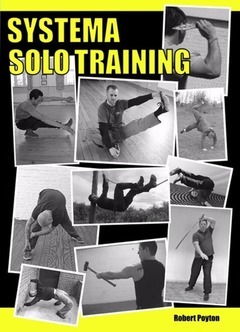 Many martial arts use set movements, or kata, as their solo training. 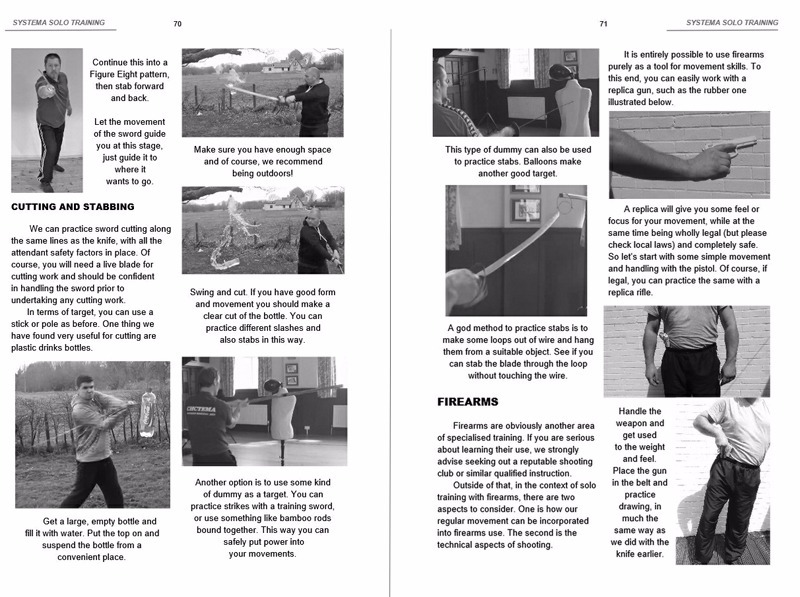 But the Russian Martial art of Systema has no set moves, so how can we practice alone?This book has the answers! 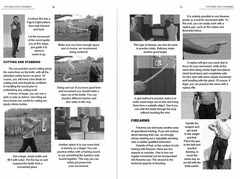 A comprehensive overview of the main Systema solo training methods, plus advise on organising your training! 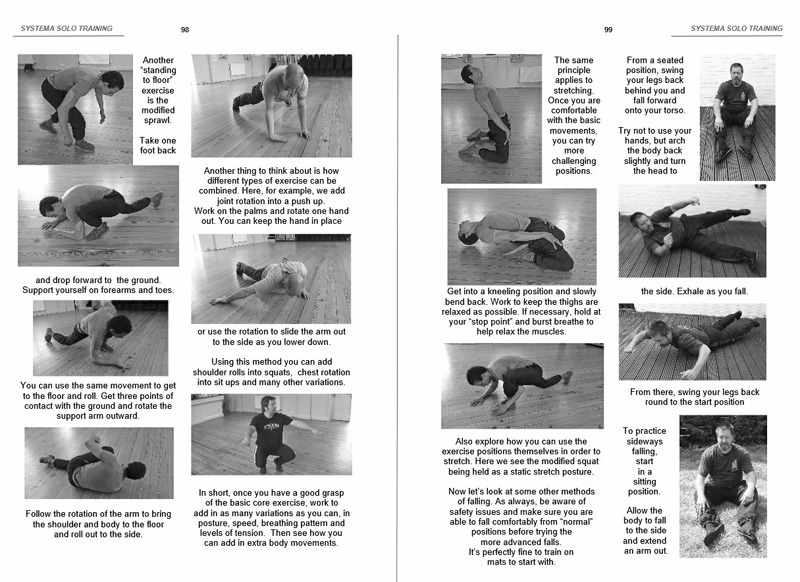 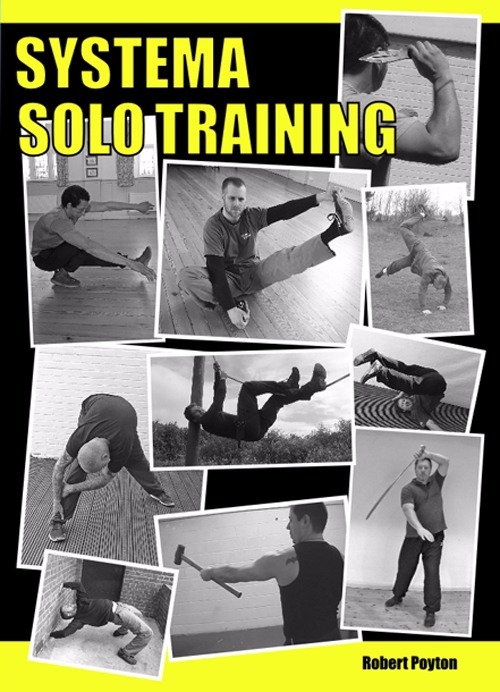 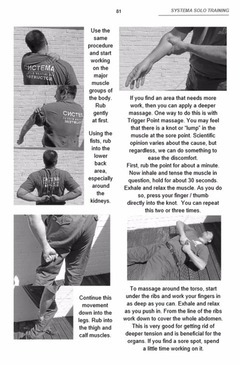 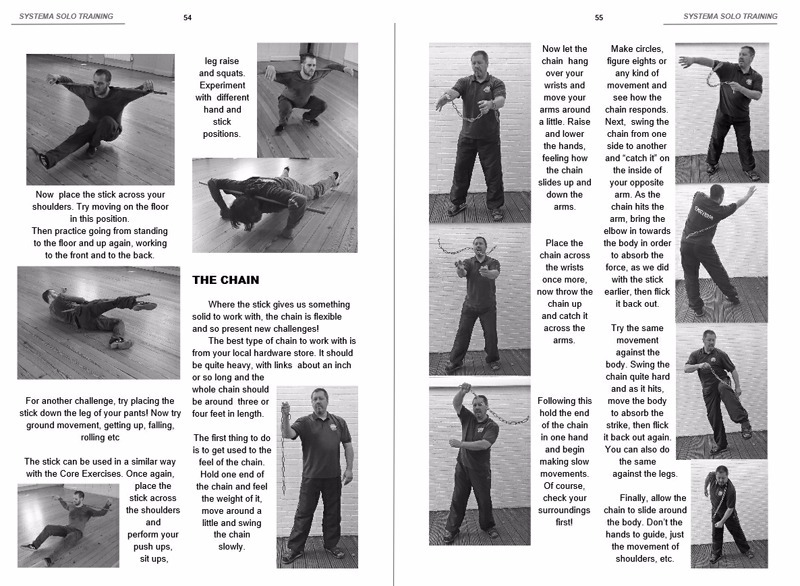 With over 400 photos this is an indispensable guide to improving mobility, building strength, developing skills and attributes and maintaining good health, whether for Systema training or any other activity.